Recent ABC7 I-Team investigation covers home and business security cameras, Police Departments are asking residents and business owners in their jurisdictions to register their camera systems with the police departments so that they know where evidence may be housed when crimes occur in the neighborhood. What strikes me most from the report and article, is that Police are now admitting that more arrests and convictions come from security camera video than from DNA and fingerprints. This is something that I have known for quite some time, especially as fingerprints and DNA are not taken in most offences, but it is great to see it stated by those who are making use of the video. If your home is vandalized, it would be very very unusual for an officer to take fingerprints or DNA evidence, so if you don't have security cameras, there may be no collection of evidence at all. Lets talk though about the registry of cameras, and potential access to the cameras by police. Note that most police departments are not asking for access to your cameras remotely, the majority of these municipalities are simply asking you to let them know that you have cameras that may cover the nearby streets. This is so that if there is a murder, burglary or vandalism in your neighborhood, they will know that they may have supporting video that might help lead them to an arrest. 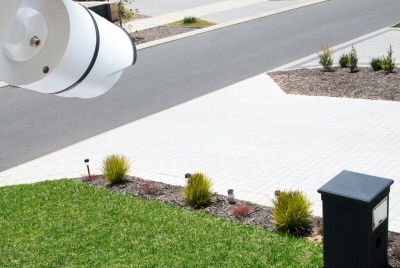 There has been a great push by homeowners in the past 10 years to install security cameras in and around their homes, and these security cameras very well can help solve more crimes in the area. Once the cameras are registered though, how much responsibility do you have to provide this video to police? That is a question that it seems some areas have answers to, but have not been covered in depth enough to really answer for the public. We know that many security camera systems out there are not very easy to review the video, sometimes taking hours to playback the video to try to find an event. If your system is registered to the police department, how often will you have to do this searching? This is a question that no one really has an answer for, but could be very pertinent. If you must search through to find and export video for police on a weekly or monthly basis (because of many crimes in your neighborhood), then this could amount to a great amount of time. Is there an implied or written responsibility to be available to police within a certain timeframe after a crime occurs? What happens if you do not want to or cannot provide the video after your system is registered? These are all questions that should be answered when considering registering your cameras with a Police Department. Don't get me wrong, I am all for police knowing where the cameras are located, and I have been approached and gladly provided footage for police from our office and my home on several occasions to help with their investigations. Having security camera footage from my cameras help to make my city a safer place is definitely ideal. However, a policy should be clear and in writing first so that everyone knows how much time they will be donating to the pursuit of these crimes. 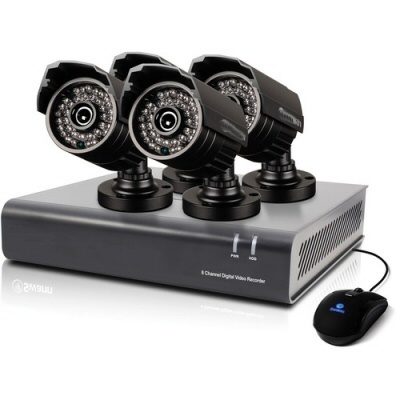 If you are someone who ended up with a pre-boxed or sub-par home security camera system, then you will probably be devoting a GREAT DEAL more time to the exportation of video than someone with a more advanced and easy to use camera system like our AVM system which allows easy archive scanning and video exportation. Another thing to consider, is what else will be seen while you are playing back the video for police. Many homeowners have installed interior as well as exterior cameras in their home, so does your system allow you to easily block out those interior cameras while playing back the timeframe the police want to see? Also can you export just the cameras that you want them to see? The answer to those questions is...usually not! Most of those pre-boxed systems available from the Costcos and Wal-Marts of the world are a very basic system, so if you have cameras inside, or cameras you do not wish to share with police, they will often appear on the screen while playing back, and there is not a way to limit this. Most situations, ok no problem, if you were not home or nothing was happening on those cameras. But what if they want video from overnight while you are inside the house parading around in your birthday suit? Big problem! So take a look at your camera system first and really consider the eventualities. If we start talking instead about remote access, which is a possible question by police as well, then the main question I have for you as a homeowner, is do you have cameras inside? If you do, and you have a pre-packaged or big box camera system, then offering remote connection would usually expose all cameras to viewing from the outside. This is a big concern! If you are considering offering this kind of access to police, whether for a home or business, then you need to first ensure that your system has the ability to restrict access to specific cameras for certain users, while allowing unlimited access to all cameras for other users. While this seems like a basic function, it is not always present in over-the-counter camera systems and solutions. So make sure you check out your current DVR or NVR prior to agreeing to this level of access if you have interior cameras. So, if your system does not allow you any of the features discussed above: Ability to search quickly, Ability to hide cameras during playback, or ability to limit remote connection to only specific cameras, then what can you do to upgrade your system to make it more compatible for these requests and to help you provide video to the police when it is needed? The DVR or NVR of your security camera system is what determines these features, so replacement of the DVR or NVR with a more comprehensive model like our AVM DVRs will enhance your capabilities. 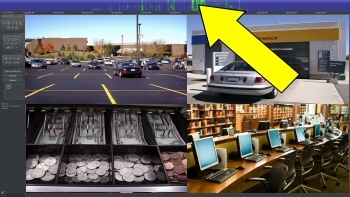 This model of DVR, NVR or HDVR will provide you with the ability to scan through days of video in 15 seconds or less, export video easily for the police from specific cameras, limit the cameras displayed on a screen so you are not exposed on playback with the police, and even allow you to limit access to only certain cameras for remote access if you choose ever to allow remote access from the police department. This is one of the big differences in the quality of a camera system, the DVR, NVR or HDVR that is employed in the system.